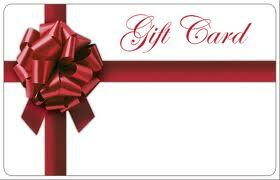 A lot of us prefer to buy-and receive-gift cards this Christmas season than real gifts. They are good for a variety of reasons. They save time, give the receiver the option to spend it on things they like and more. But when buying a gift card for friends and family this Christmas season, or for any occasion, try to get one that allows them to get services rather than goods. This will help the local economy rather than sending your money abroad to China and other far places. Allow me to explain this further. If you are buying a gift for the young ones in your family (children under 10 or so) you will most likely get them toys, or even electronics, right? While that may be fine, why not get them a gift card for an experience or a service instead of goods? This will help your local economy directly. While buying toys, for example, will most likely benefit a country like China, where the toy was most likely manufactured there. Sure, other local industries may benefit as well, but it will still have to be split. With a service or experience, most of the money will likely stay and be spent here. For example, you can buy your nephew a gift card to a local soccer camp. Or how about a season pass to your local theme park? This is not to suggest that you shouldn’t buy any toys for your little ones, but some form of balance has to be achieved, if at all possible. In my family for example, I noticed almost everyone bought my 2.5 year old nephew toys. Lots of toys. I was probably the only one who gave his parents a cash gift. He already has literally hundreds and hundreds of toys and he gets bored with any toy in a matter of few hours, if not minutes. Imagine if this money spent on toys, was instead used as a financial certificate for a future college education or even to get him into special sports, swimming or other activity schools. In other words, giving him a gift card for an experience will benefit him as well as the local economy, and creating many jobs in the process. Not to mention what these experiences will do to help shape him and help in his maturity and mental conditioning etc. Same with gifts for your adult friends and family members. Instead of buying them electronics which they probably already have, why not buy them a gift card to a spa, tickets to watch a local sports team, or even a restaurant? All these three examples would directly help your local economy, and by extension, the national economy. Imagine if at least half of us did this, the spin-off jobs and money it would create for the local and national economy would be huge. And imagine if we did this everyday, when buying gift cards for birthdays and other occasions. This would add billions to the local economy, rather than sending a lot of this money overseas. So for your 7 year old daughter’s next birthday, get her a gift certificate to a local swimming or camp. And for your father? Get him a GYM membership, it will help his health as well as help the local economy.